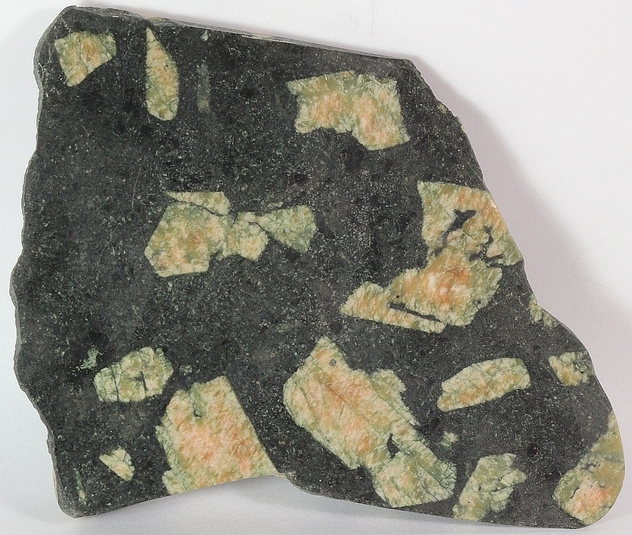 Dolerite: Mineral information, data and localities. Etymol: Greek doleros, 'deceitful,' in reference to the fine-grained character of the rock that makes it difficult to identify megascopically. 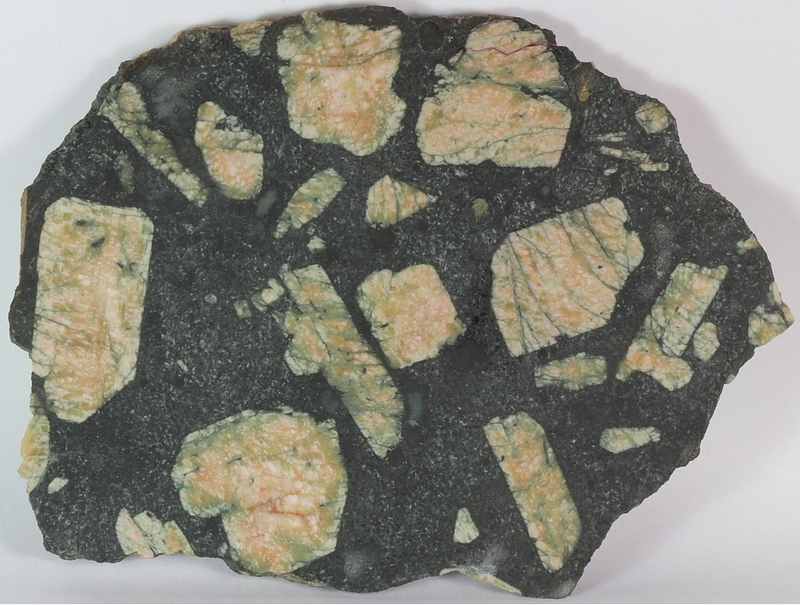 Dolerite and the synonym diabase are not root names but usually defined as medium grained mafic intrusive rocks. It can include microgabbro, basalt, andesite, microdiorite and other rock types. ii. 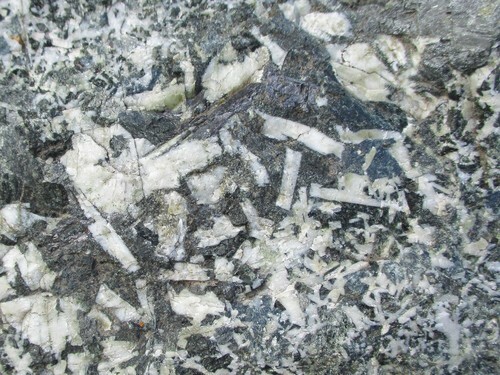 In British and Australian usage: A medium grained mafic intrusive rock whose main components are calcic plagioclase and clinopyroxene and which is characterized by ophitic to subophitic texture; usually found in sills and dykes. The preferred term for what is called diabase in the United States. Of similar mineralogy to basalt and gabbro, and intermediate in grainsize between them.